The sedan segment is not to be ignored. 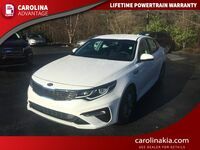 The vehicles coming out of this class are bringing their best performances to the road by balancing power, efficiency, and space all at competitive prices. Speaking of competition, we’re putting two industry leaders head to head to determine which model brings more value to prospective car buyers. 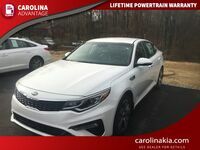 The two sedans going up against one another today are the 2017 Kia Optima and 2017 Honda Accord Sedan. These vehicles are showing off their dynamic performances with each mile they travel. To keep things even, we’re stacking up both models at their comparable base trim levels. 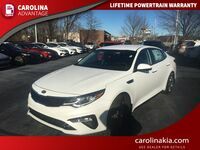 Let’s see how the 2017 Kia Optima LX compares to the 2017 Honda Accord Sedan LX CVT. 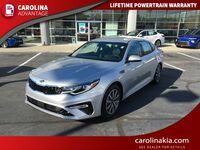 What are the differences between the 2017 Kia Optima and 2017 Honda Accord Sedan? 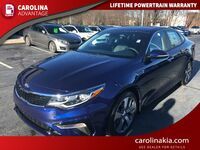 The 2017 Kia Optima and 2017 Honda Accord Sedan are incredibly similar in a number of areas. 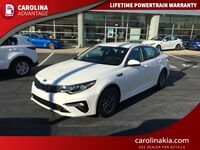 They both deliver the same amounts of horsepower at 185 horsepower while also earning the same estimated 36 mpg highway fuel economy ratings. 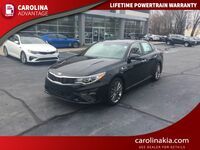 Both the Optima LX and Accord Sedan LX also offer near-identical amounts of passenger space at 104.8 cu. ft. and 103.2 cu. ft., respectively. Where drivers see one of the most weighted differences, however, is in the price department. The 2017 Honda Accord Sedan LX is over $1,000 more expensive than the Optima LX. The Accord starts at $23,255 MSRP while the Optima comes in at $22,200 MSRP. While 1.6 cu. ft. of space might not feel that significant, any size price discrepancy is. At the end of the day, drivers will need to experience these differences in person by scheduling a test drive. 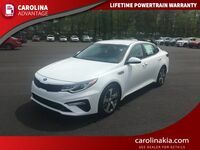 Contact our team at Carolina Kia today to learn more about the Optima’s exceptional performance offerings.